If you're shopping for a camping lantern, you're looking for reliability, period. So it's nice to find something like the Revogi Convertible LED Lantern that jumps over that low bar and actually offers some versatility. Made of simple materials, the Revogi is high-tech in a refreshingly minimalist, eight-ounce package. Yes, it'll light up the campsite and then some with 25 LED bulbs delivering up to 2.5 watts, and it can do it for up to six hours on a charge at the highest of its three brightness settings. But it's also collapsible, which allows not only for added portability but functionality. Fold it out and it's a lantern, collapse it and it's a powerful spotlight. 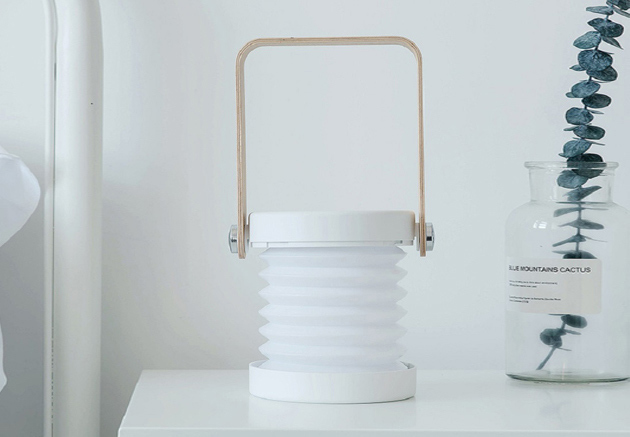 Thanks to the sleek design, it can even serve as an indoor lamp. In short, it can go just about anywhere. The Revogi Convertible LED Lantern is $32.99 now - 17% off the original MSRP.